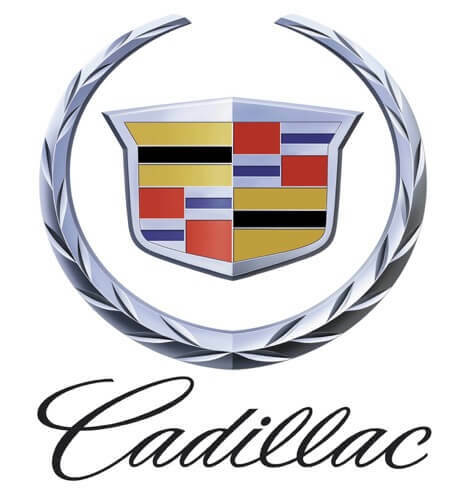 Cadillac is a division of General Motors (GM) and is definitely a popular automotive brand that we sell here at Easterns Automotive Group. General Motors also houses Chevrolet, Buick, and GMC just to name a few. Cadillac has many different models to offer our customers. The Cadillac ATS is a compact luxury sedan that can come in as a turbocharged 4-cylinder or a 6-cylinder. This vehicle can be most compared to the BMW 3 series and Mercedes C-Class. Motor Trend did a head to head compare and contrast of all 3 vehicles that you can watch here. The Cadillac CTS mid-size luxury sedan has been around since 2002 and has certainly grown in popularity over the years. 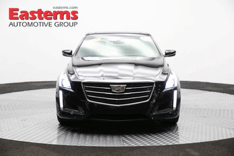 The CTS has had several body style changes since those days and now has many popular luxury features. The latest models come equipped with push-button start, Bluetooth audio, and heated seats. 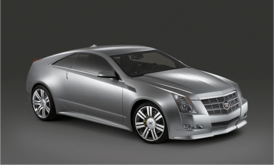 In 2011, Cadillac created a CTS Coupe to accommodate the needs of customers going for a sportier feel. This was Cadillac’s first coupe since the year 2002 when they discontinued the Eldorado. Next up is the Cadillac Escalade. 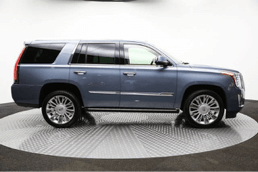 Like the Cadillac CTS, the Cadillac Escalade has also been around for quite some time. 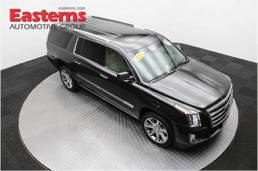 The Escalade is very popular due to the fact that it is a luxury SUV that provides great features and a large amount of room for passengers and storage space. An extended version of the Escalade is also available called the Escalade ESV. This is perfect for family road trips or for those needing more room than normal. For those needing a smaller SUV, Cadillac created the SRX model. 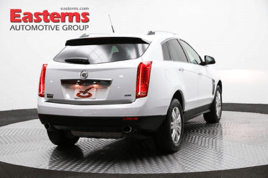 While it is smaller than the Escalade, it still sits on its own, the SRX is perfect for someone looking for a mid-size SUV that can be compared to the Lexus RX 350, Audi Q5, or the Lincoln MKX. 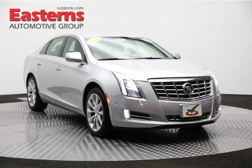 Another vehicle that we sell is the full-size luxury sedan called the Cadillac XTS. 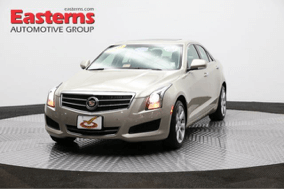 The XTS provides much room and luxury comfort in a sedan form. At Eastern Motors, our Cadillac range from the year 2013 to 2016 but of course that changes daily. Our inventory updates on a daily basis so we will always have something for everybody. Please visit www.easterns.com and www.cadillac.com to see the latest Cadillac models and to see our new inventory. We have locations throughout the DC, Maryland, and Virginia area.